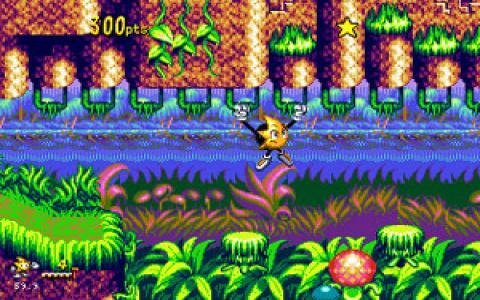 While certainly not as well known as classic platforming star Sonic, Ristar actually proves to be just as entertaining and thoroughly deserving of a wider audience. 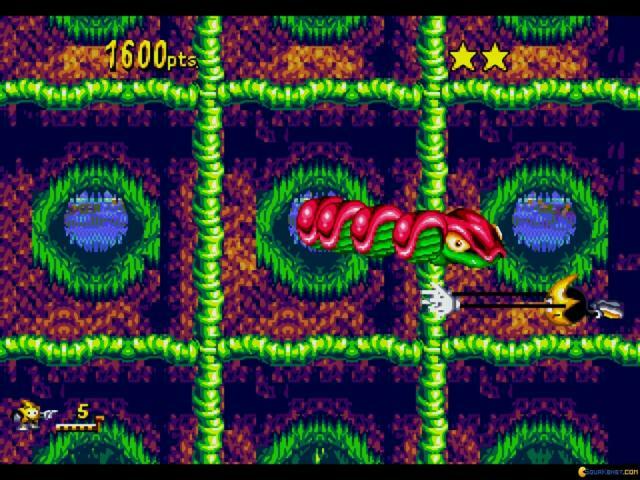 The game mixes slick Genesis-era visuals with some clever and inventive gameplay to great effect, making it a game well worth digging out. 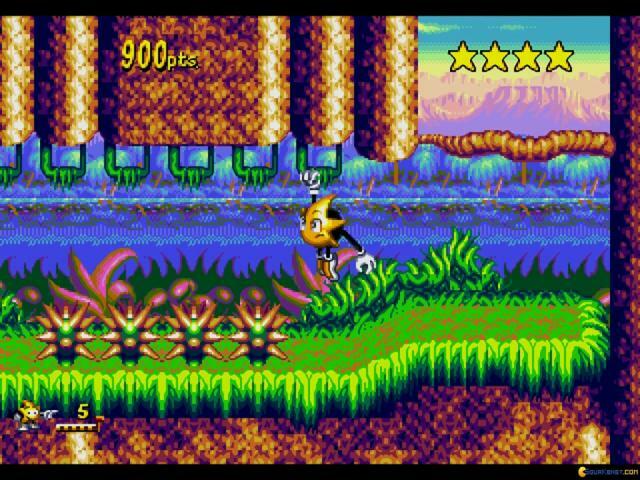 There's a surprisingly complex plotline here, although it's a bit baffling and rather bonkers to be honest, and which finds you attempting to rescue the solar system from the evil machinations of the tyrant Greedy. 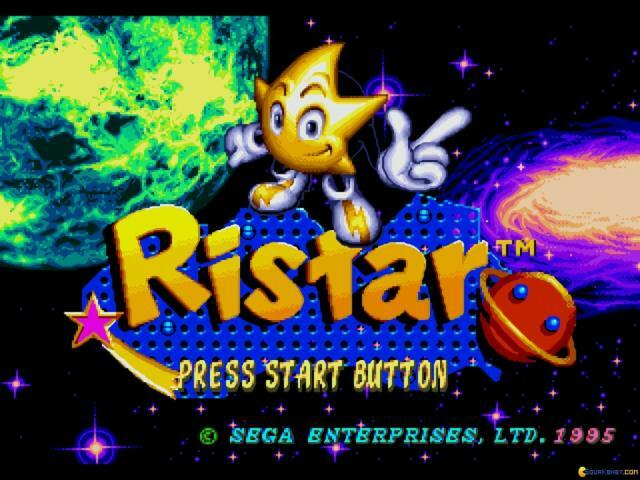 He's enslaved the populations of entire worlds but fortunately there's one hope left for the universe and that's Ristar, the son of a legendary hero. 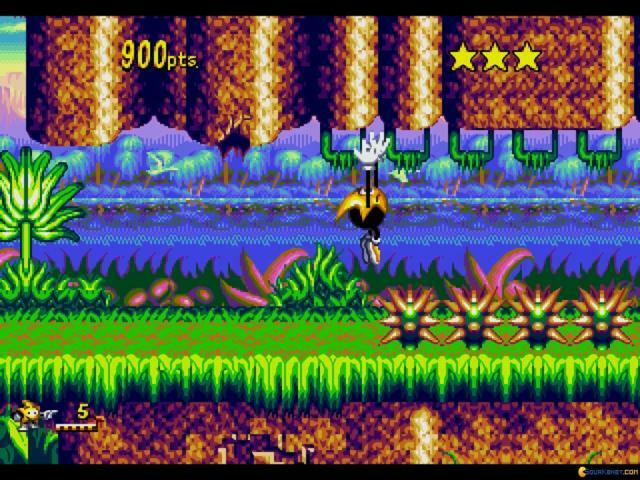 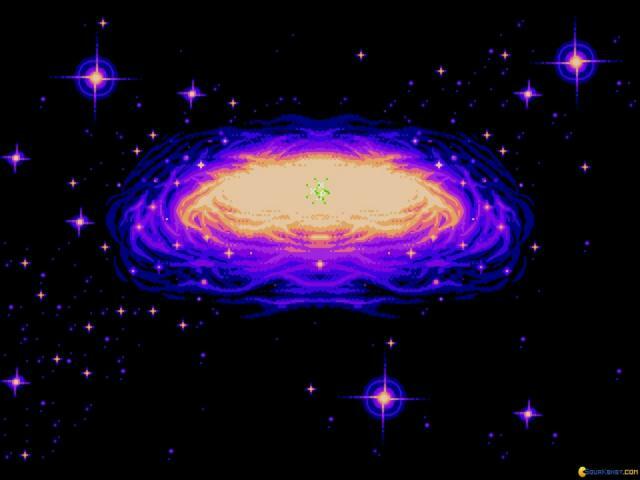 What follows is a fairly traditional 90s platformer which sees you exploring a nice range of side-scrolling levels, taking out bad guys, leaping around and all the other sorts of thing you see in such games. 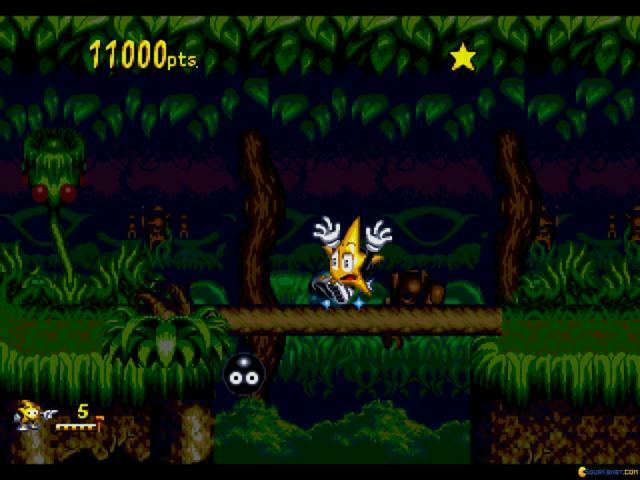 To help the game stand out, Ristar can stretch his arms to grab enemies and then headbutt them, while also using them to help him climb up to platforms. 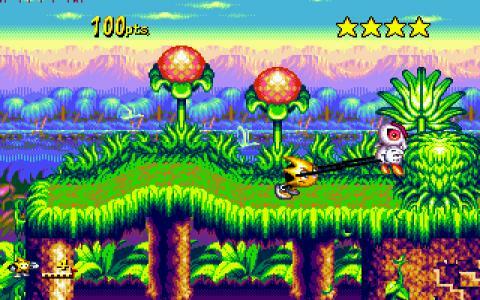 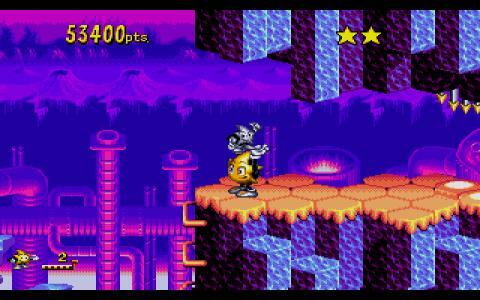 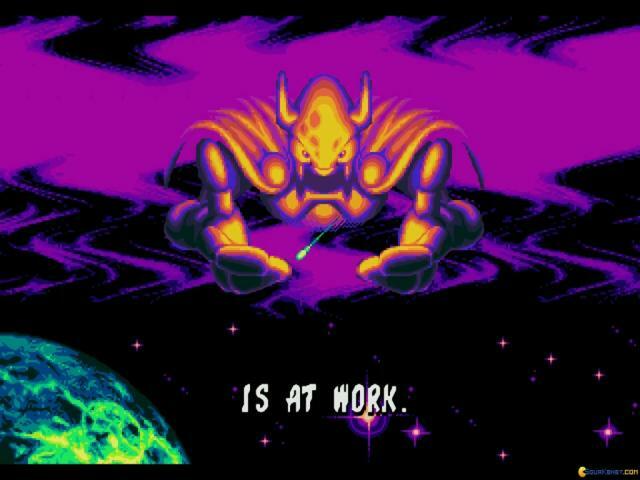 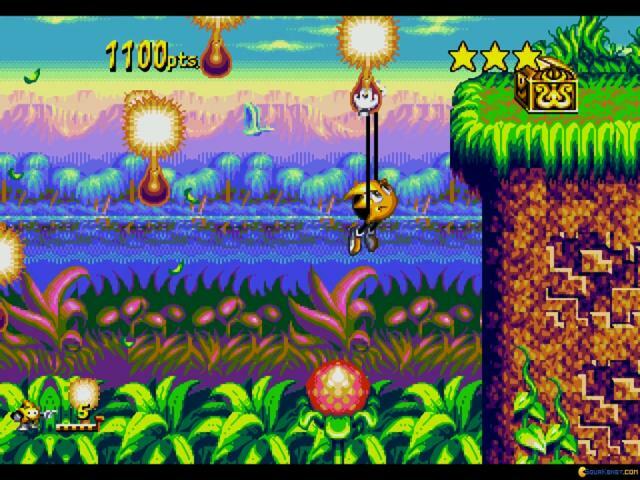 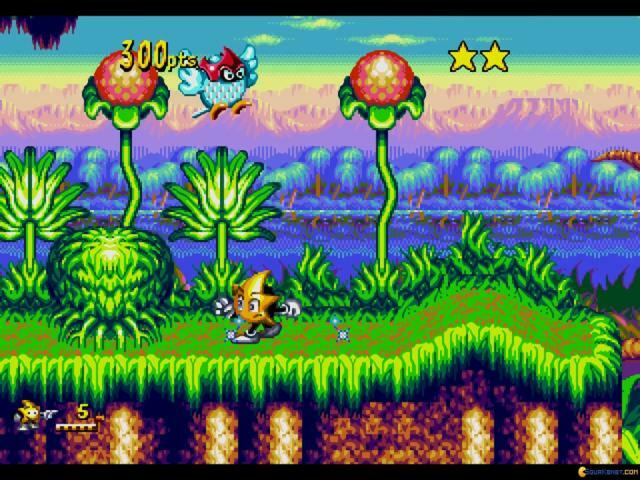 Much of Ristar is pretty familiar stuff, with a visual style that looks a lot like the colorful world of Sonic and his rivals but which still manages to pack in a lot of detail and charm. 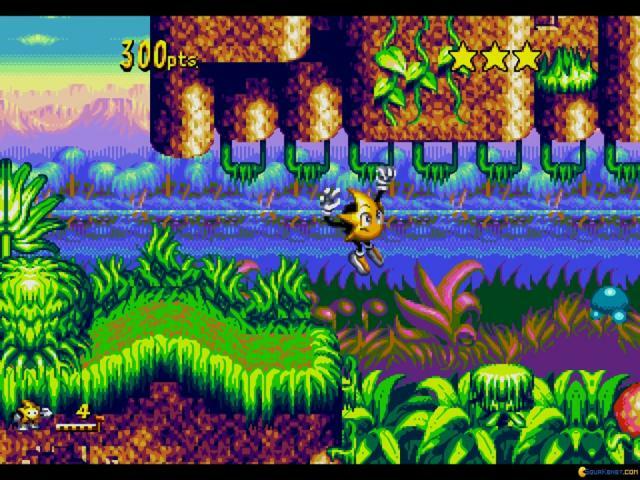 A lot the running and jumping stuff has been seen before too but the addition of the arm mechanic is a fun one which is reminiscent of Bionic Commando but which adds much to the appeal. 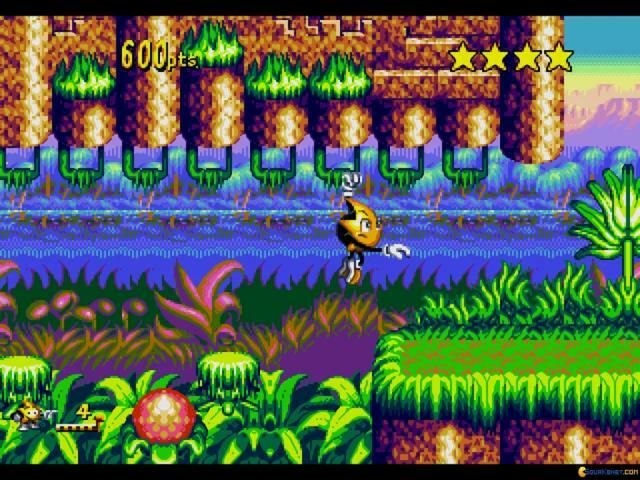 There's a lot to explore here too, although there's probably not that much incentive to find every secret but for a casual bit of platforming fun, this is a good one and one which is unjustly forgotten.